When you want a tablecloth that is durable but feels soft to the touch like a cotton, consider this 100% spun polyester tablecloth. 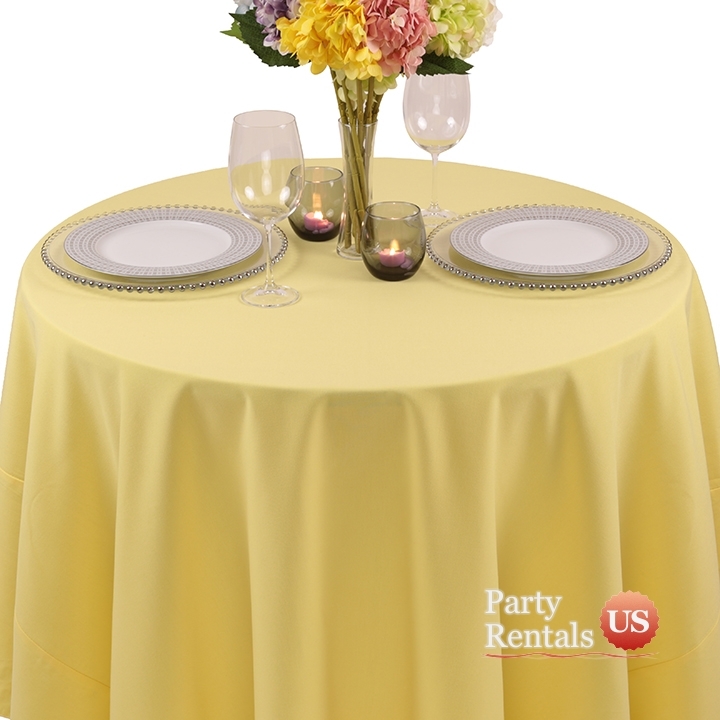 This linen works well for fine dining occasions and will look like an expensive piece to your guests. Choose from a wide variety of colors so that everything blends with your theme.